Sometimes when you upgrade a hardware driver, it freezes your system or can crash it. Especially if you use Beta drivers that need updates to work properly. To fix the issue, roll back the drivers. First click Start and Type: device manager into the search box and hit Enter. In XP go to Start, right click on Computer then Properties then Device Manager. 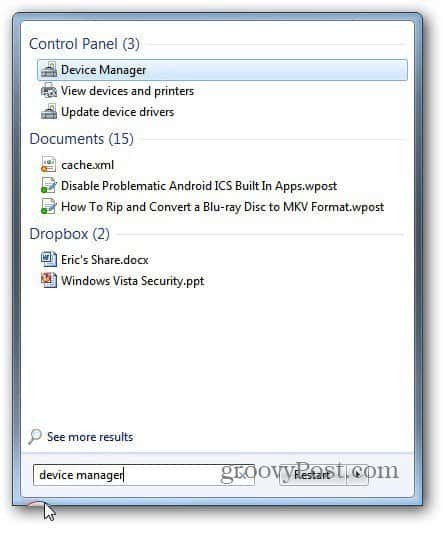 Windows Device Manager opens. 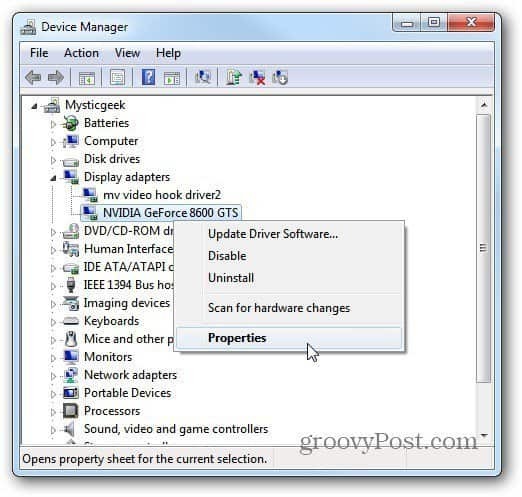 Right click on the device which you want to roll back the driver for and click Properties. 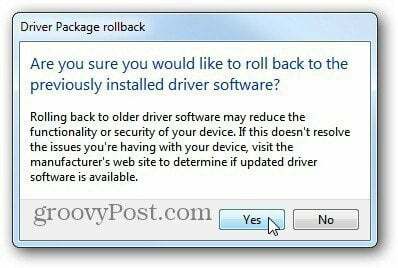 Now click the Roll Back Driver button. It will go back to it’s previous version. Then you’ll get a dialog window asking if you’re sure. Click Yes. 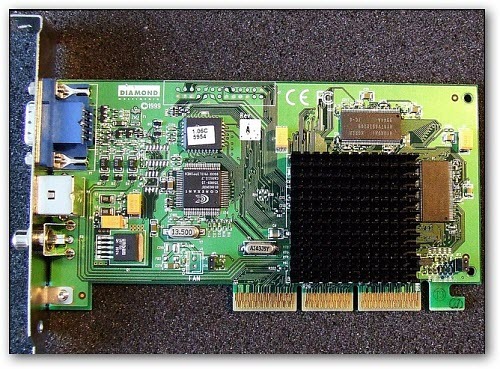 In this example I rolled back the driver on my Video Card and it restarted. 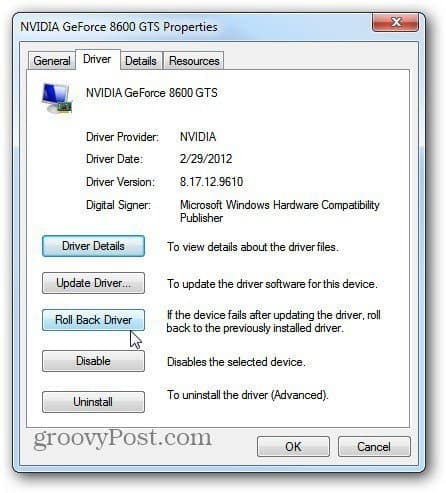 Typically any device you roll back a driver on will restart itself or the entire system. If you ever install new drivers and the device isn’t working correctly, rolling back the problematic driver is easier than using System Restore.